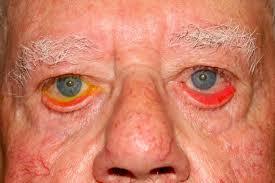 Bacterial conjunctivitis - will present with purulent (yellow) discharge, crusting, usually worse in the morning. 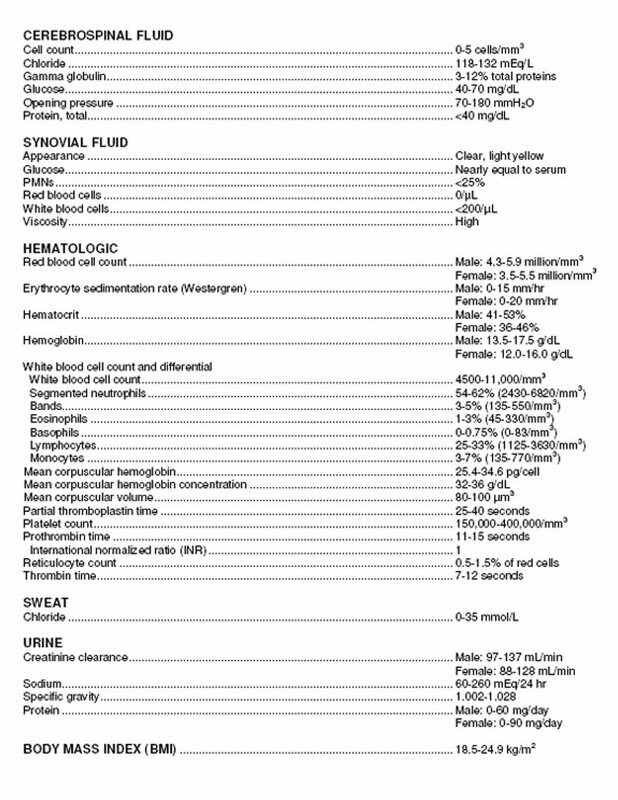 May be unilateral. 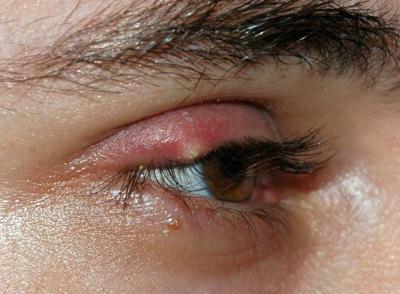 Bacterial: Treatment(s) in order of suggested use - the dose is 0.5 inch (1.25 cm) of ointment (preferable in children) deposited inside the lower lid or 1 to 2 drops instilled four times daily for five to seven days. 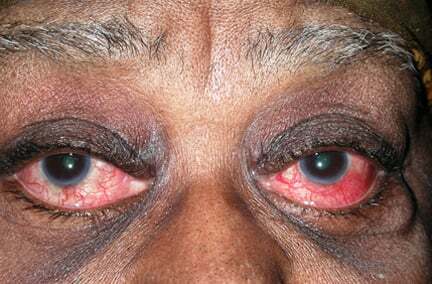 Trimethoprim and polymyxin B (Polytrim) This combination is used for ocular infections, involving cornea or conjunctiva, resulting from strains of microorganisms susceptible to this antibiotic. 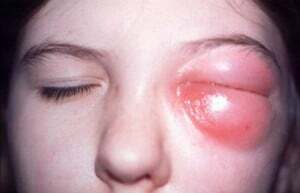 Viral: There is no specific antiviral agent for the treatment of viral conjunctivitis. 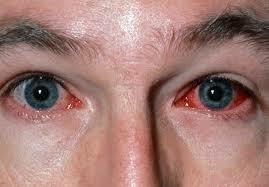 Some patients derive symptomatic relief from topical antihistamine/decongestants. 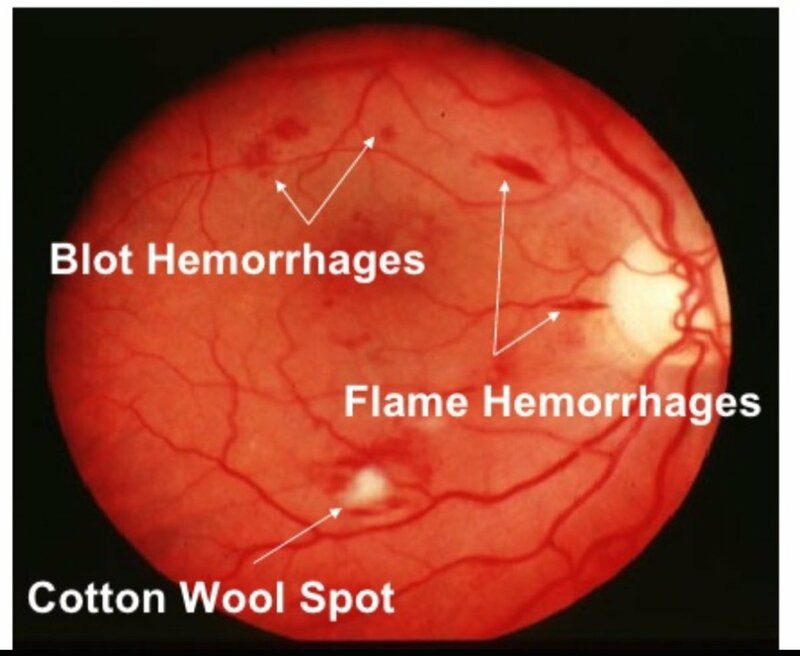 Warm or cool compresses may provide additional symptomatic relief. 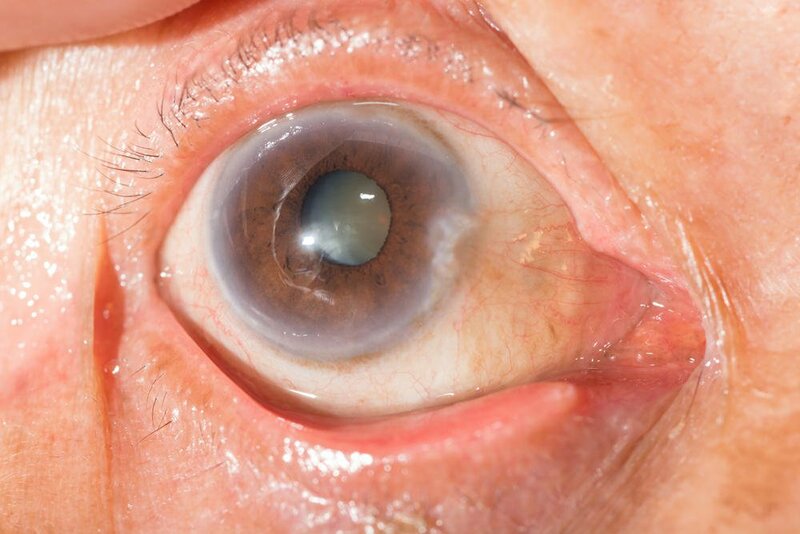 Fundoscopy "black on red background"
Corneal ulcer Contact lens wearers, caused by deep infection in the cornea by bacteria, viruses or fungi. 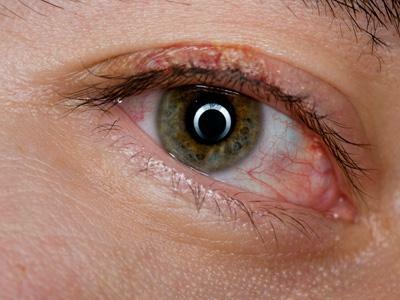 Pterygium Elevated, superficial, fleshy, triangular-shaped “growing” fibrovascular mass (most common in the inner corner/nasal side of the eye). 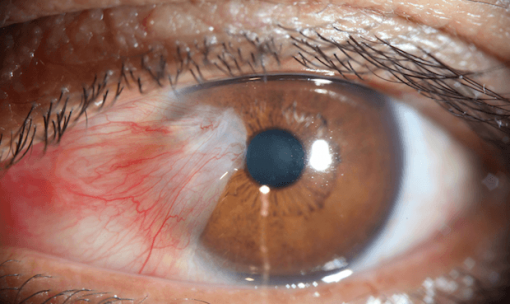 Pterygium is associated with increased sun exposure and climates where there is wind, sand, and dust. 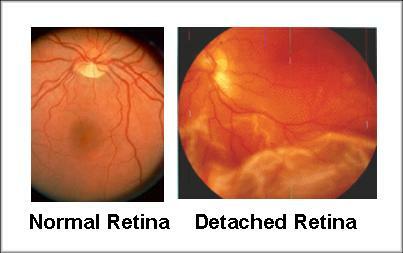 Macular degeneration Gradual painless loss of central vision. 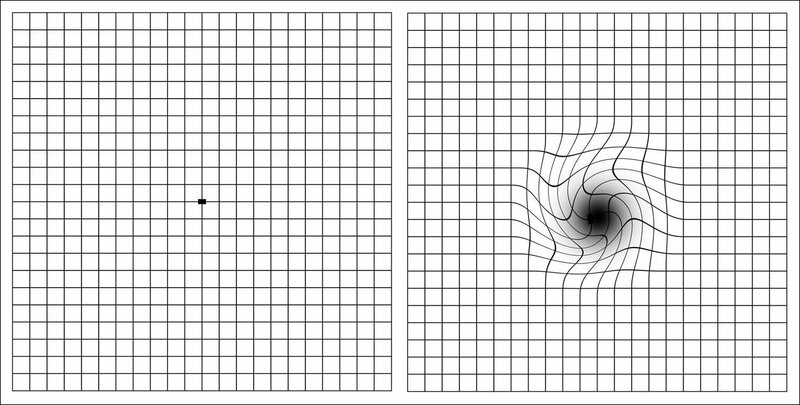 The macula is responsible for central visual acuity which is why macular degeneration causes gradual central field loss. 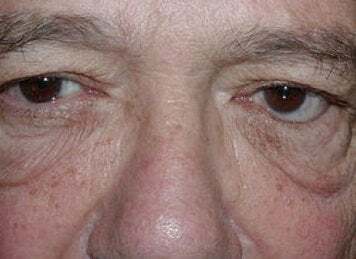 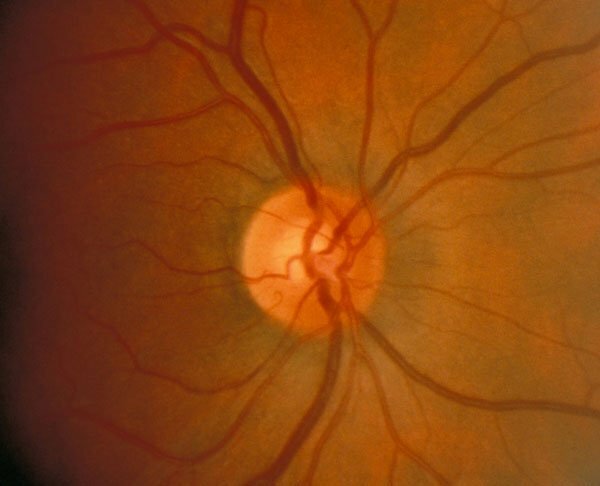 Dry macular degeneration (85% of cases): atrophic changes with age – a slow gradual breakdown of the macula (macular atrophy), with DRUSEN (DRY) = yellow retinal deposits. 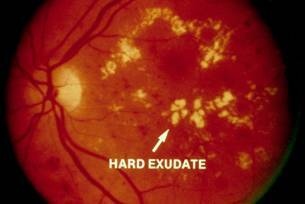 Wet macular degeneration: hemorrhage, neovasculation. 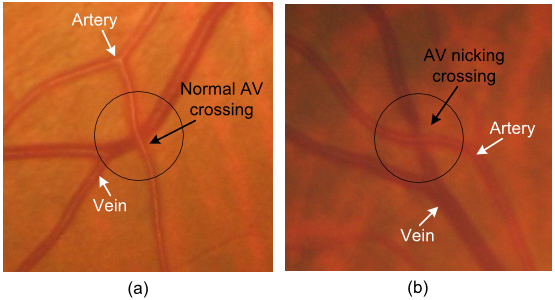 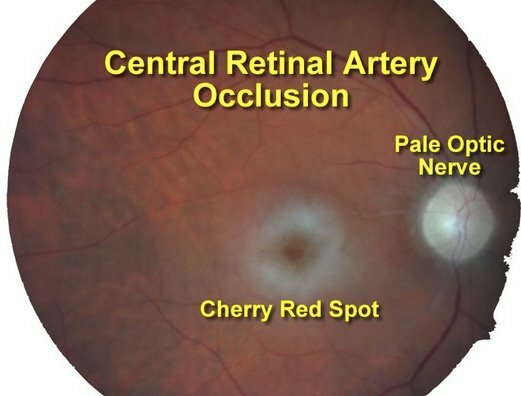 New abnormal vessels grow under central retina which leaks and bleed causing retinal scarring. 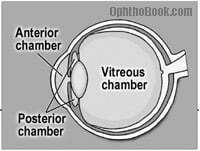 Retinal detachment Vertical curtain coming down across the field of vision may sense floaters or flashes at onset, loss of vision over several hours. 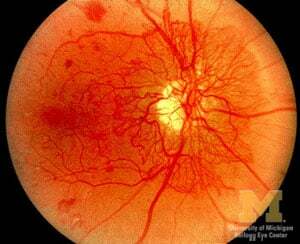 Retinopathy Leading cause of blindness most common is diabetic retinopathy. 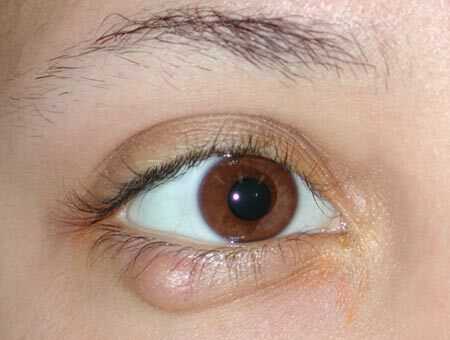 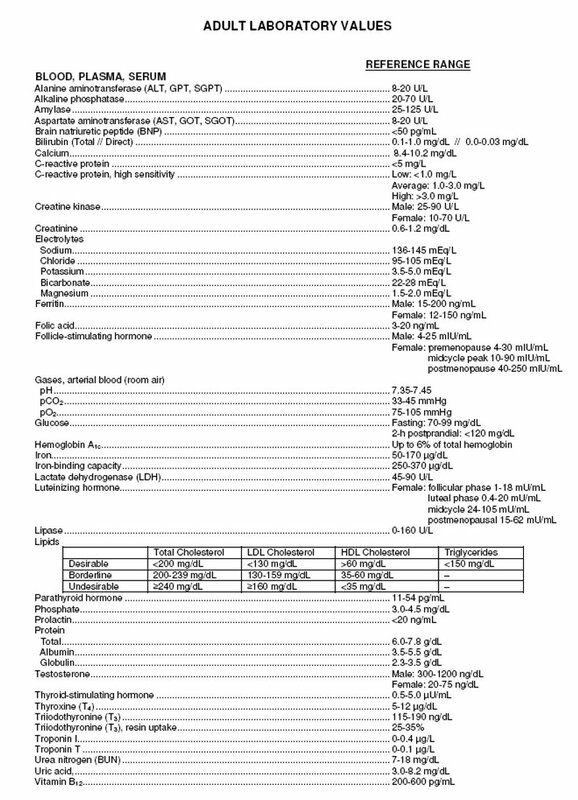 Proliferative type is most severe. 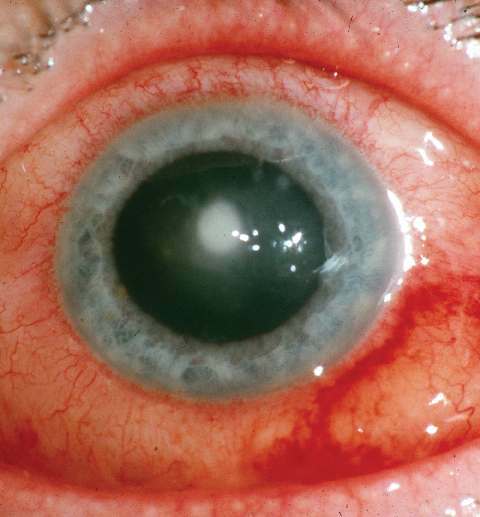 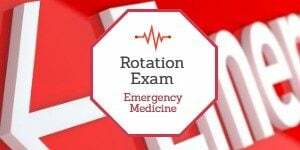 Blowout fracture History of blunt trauma, muscle entrapment, eyelid swelling, gaze restriction, double vision, decreased visual acuity, enophthalmos (sunken eye). 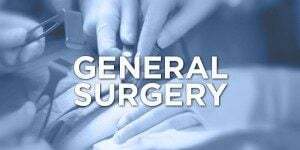 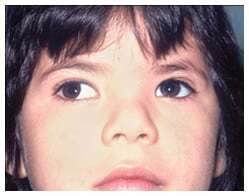 Acute narrow angle-closure glaucoma: Iris against lens, dark environment, acute loss of vision, nausea, and vomiting. 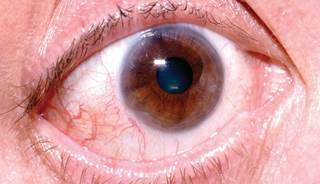 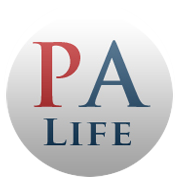 TX: Refer the patient for prompt evaluation by an ophthalmologist.